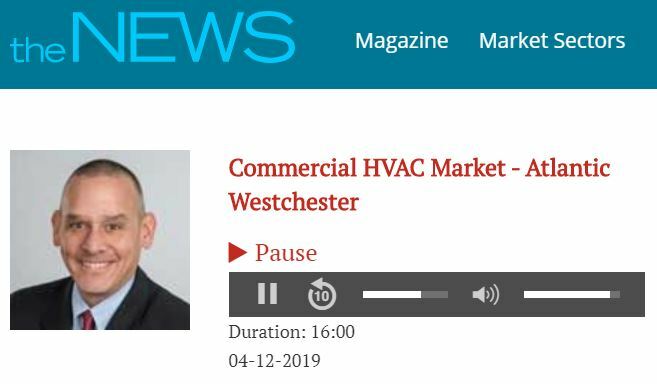 Bud Hammer, President of Atlantic Westchester, was recently interviewed by The NEWS discussing the commercial HVAC market. Atlantic Westchester offers a variety of commercial and industrial HVAC solutions for businesses, institutions, and government facilities across the New York metropolitan area. Listen to the podcast featuring Bud here.